A passionate advocate of the music of our time, Mr. Odell frequently premieres works written for him. He has performed contemporary repertoire with the New Juilliard Ensemble, AXIOM, Peabody Camerata, and the American Art Song Festival, a group he founded in 2004. He has worked with many prominent composers, including Pierre Boulez, John Corigliano, Ned Rorem, Mark Adamo, Michel Merlet, and Robert Aldridge. His debut album Connections: The Piano Music of Olivier Messiaen and his Students was recently released on Albany Records, and his recording with flutist Leslie Stroud of the flute and piano sonatas of Gary Schocker is being released on Centaur Records in 2019. 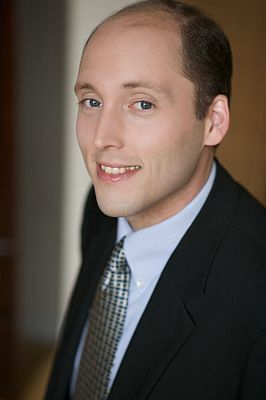 Mr. Odell’s special love of the art song repertoire has resulted in many recitals with singers from around the world, including the British bass-baritone John Shirley-Quirk and members of the Metropolitan Opera. For five years he served on the coaching faculty of the Académie internationale d’été in Nice, France, and he has performed in the Marilyn Horne Foundations’s festival The Song Continues at Carnegie Hall. At Lincoln Center he has presented a tribute to baritone Pierre Bernac as well as the complete songs of Barber and Duparc. He is a founding member of The Hampton Trio and Acacia and has collaborated with a wide array of musicians, including clarinetist Charles Neidich and pianist Peter Hill. For more information, visit www.matthewodell.com .